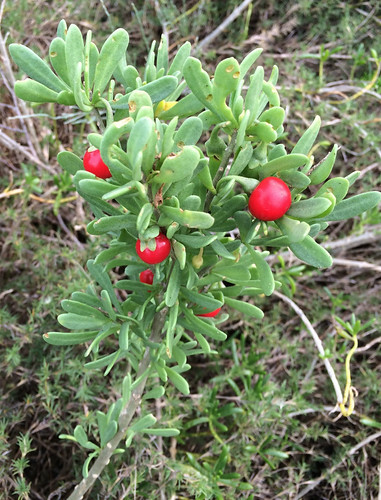 Close-up of berries and leaves. 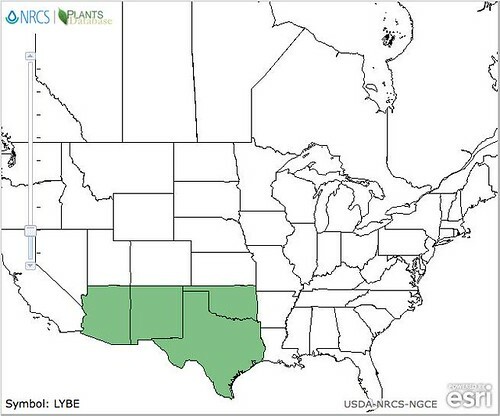 As you cross the dry, sandy, alkaline soils of south and west Texas and southern coastal areas you make see a gray-colored bush covered in thick, elongated oval leaves. 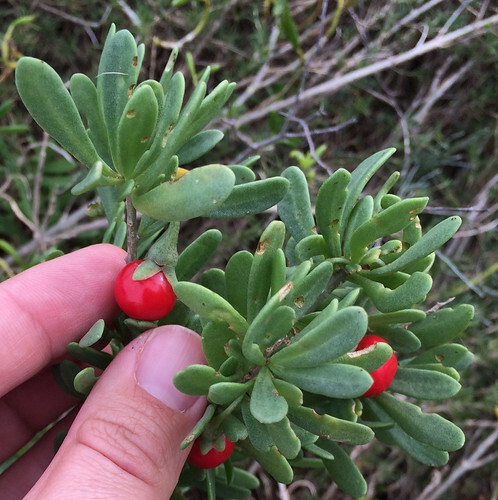 Depending on the time of year, the bush may be covered in long, tubular, white-yellowish-green-ish flowers or if you are lucky, marble-sized, red fruit. It's bark is smooth and gray though lighter than the green-gray of its leaves. 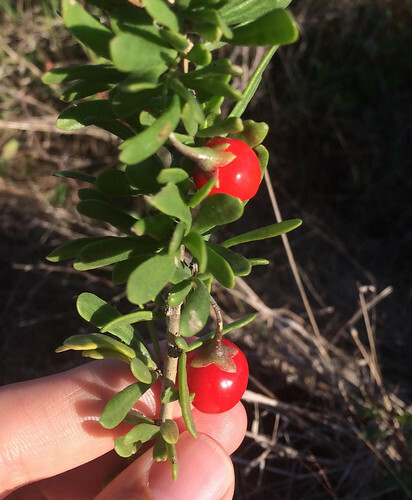 You've found a Wolfberry bush and that means you have some great, super-nutritious food! The berries ripen in mid-winter to early spring. They have a tangy taste as they are related to tomatoes...and so are in the nightshade family. 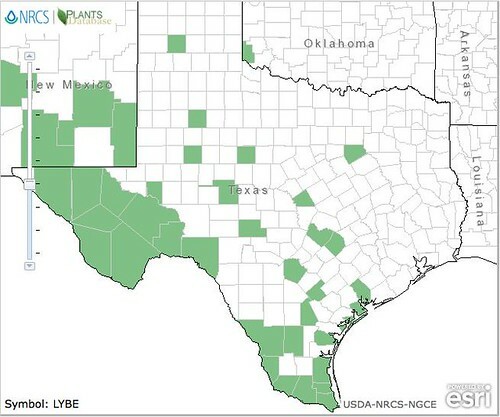 Related to the fad-food Gogi berries, this Texas plant has all the same high vitamin content as well as other beneficial chemical compounds. Usually the berries are dried/dehydrated then nibbled as a healthy snack. They can be added to muffins, and breads. People also use them in smoothies! of course, you can also make infused vodka out of them for a nutritional martini. The Recent studies have shown they might help stroke victims.